And Peoria and EagleRiver and Woody and Hays Salina Topeka and on and on every Radio Station that gave us a shot. E mail Mitch@viegut.com We would love to hear from you. 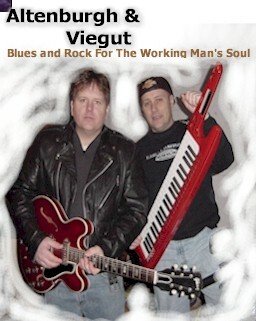 Mitch Viegut still performs with nationally renowned jazz pianist John Altenburgh and saxaphone player John Greiner in the Viegut & Altenburgh Band. Visit Peter Phippens music online . 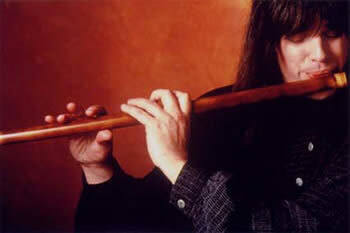 Peter Phippen is an innovative performer of flutes of the world. Researching the performance technique and history of his vast collection of antique and contemporary anthropological wind instruments ultimately led him to bring this knowledge to concert stages and schools. Since 1993, Phippen has performed concerts, workshops, artist residencies and assembly programs across the country that are both educational and entertaining - an enchanting mix of the very old and very new in music.